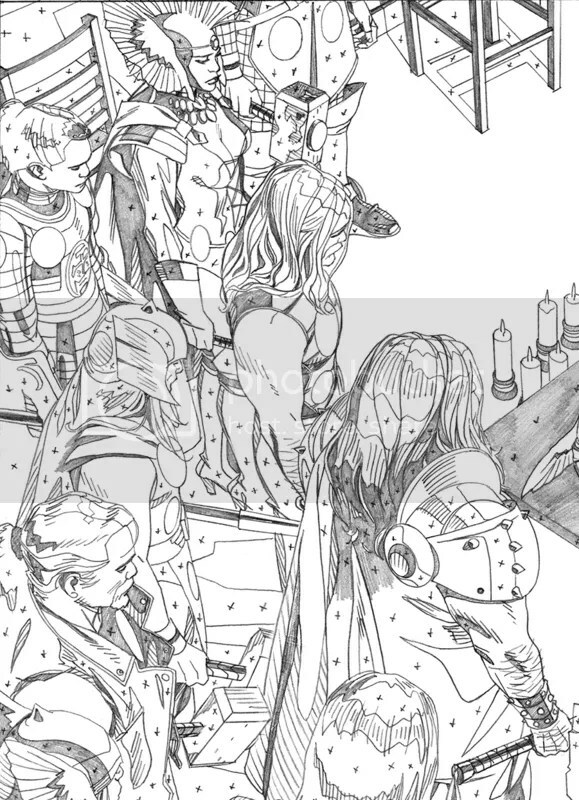 I just added several pencil pages and a cover from the Thors series I’m drawing for Marvel Comics to the art sales page. There’s even a double page spread up for sale that you won’t see anywhere else because I redrew it for the final printed comic (and it was quite a drastic revision, almost nothing like this version in any way). All of these particular pages were scanned and emailed to inker Karl Story who printed them out and inked them on separate sheets of bristol board, a common time-saving practice in this business. Click on the “Art For Sale” link at the top of this page to see the new art!